This is the Real Recession Proof Franchise. It is one of the fastest growing franchise systems in North America, specializing in residential and commercial property damage mitigation and restoration services. Franchisees offer emergency restoration services to the insurance industry, home service providers and property owners based on property damage caused by water, fire, mold, biohazard and other conditions resulting in property damage. The insurance claims industry pays approximately $188 Billion for insured property losses each year. This franchise opportunity represents one of the strongest franchise opportunities available today. They are looking for enterprise builders. Individuals that desire to lead, scale, and grow an empire! National and regional accounts established for built in revenue opportunities. In-House financing up to $90,000 of your startup costs to qualified applicants. No students or brokers please. Please pay careful attention to the financial requirement of a required minimum net worth of $200K. The franchise required the buyer to be a US or Canadian Citizen. This is a franchise looking for a quality franchisee in your area. It is not an Existing Franchise for resale. Contact ABC to check for current pricing and availability. Affordable Business Concepts, LLC does not make any guarantees or declarations regarding earnings. The information contained in this ad does not constitute an offer to sell or award a franchise and may not reflect the most current facts. Such an offer can only be made in compliance with applicable disclosure laws. Offerings are made by Franchise Disclosure Document only. Largest territories in the industry. You can start your business from a home office to lower your startup expenses. National accounts continue to grow and include Kohl?s, JC Penny, Liberty Mutual, Allstate, InTown Suites, Sun Trust, Signal and many more. In House financing for qualified applicants lowers your need for liquid starting capital. Royalties decrease as sales increase! Standardized pricing model (no negotiating necessary). Proprietary software is web-based and accessible on smart phones. Lots of available territory for expansion over time. 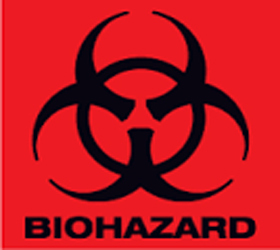 Multiple revenue streams you can grow into over time like Biohazard cleanup, water and fire damage restoration and mold remediation. In-house funding of up to $90,000 for vehicles and equipment. Financing referral available to franchise friendly lenders to help you with a loan or to help you unlock your 401K. We can help you obtain SBA Loan Pre-Approval in 24 hours. This is a franchisor looking for a new quality franchisee in this area. It is not an existing business for resale but rather a starup up opportunity. Contact ABC to check for current pricing and availability. ABC makes no earnings declarations.